For anyone that doesn’t dive or hasn’t spent time under water, 152 meters is deeper than you can imagine. I wouldn’t be worried about my watch caving under pressure as much as my head squishing like a grape. 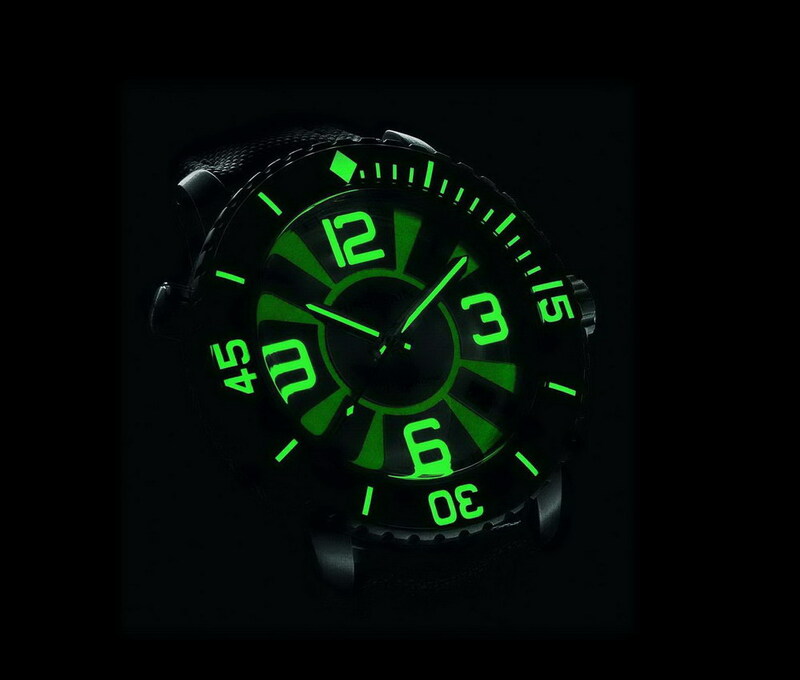 This is some serious free diving, killer watch to boot. A record-breaking weekend at Zoagli – Champion freediver Gianluca Genoni descends to a depth of 152 metres . . .
From BLANCPAIN Gianluca Genoni, who holds over 15 freediving records, has once again pushed back the borders of what is deemed humanly possible. At Zoagli, near Portofino, Italy, he plunged to a depth of 152 metres in freediving mode, thus setting a new world record in this discipline. Blancpain, which has been associated with the Italian freediver since 2007, is proud of this exceptional performance and warmly congratulates Gianluca Genoni on his exceptional feat. This freedive not only served to display Gianluca Genoni’s impressive physical and technical abilities, but also to test the performances of new equipment in deep waters. 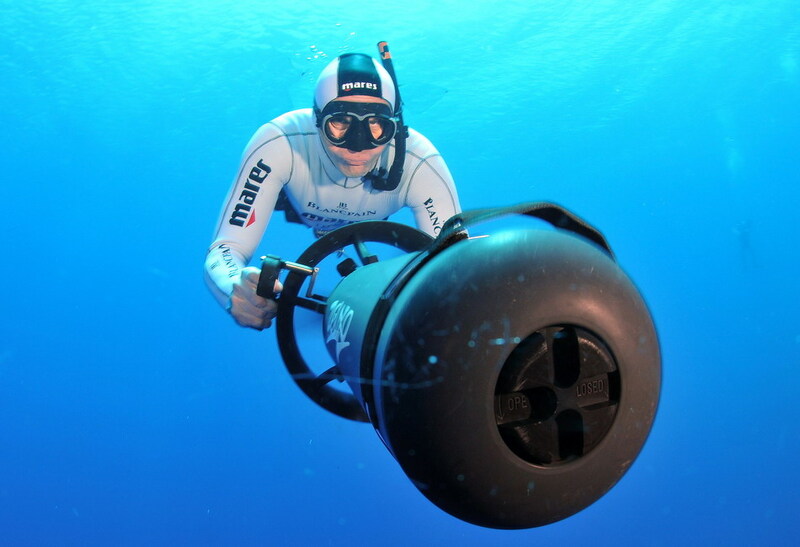 In his descent, the Italian diver used the world’s fastest underwater scooter capable of propelling him towards the depths at a speed of over 100 metres per minute. He was also equipped with an inflatable life-jacket prototype developed by the Mares firm and capable of bringing the diver back to the surface immediately if any problem occurs. Gianluca Genoni’s performance was also closely studied by researchers from the Divers Alert Network in order to improve the security of this type of dive. In accomplishing this feat, the Italian athlete could rely on his Blancpain 500 Fathoms, the“big sister” of the Fifty Fathoms. 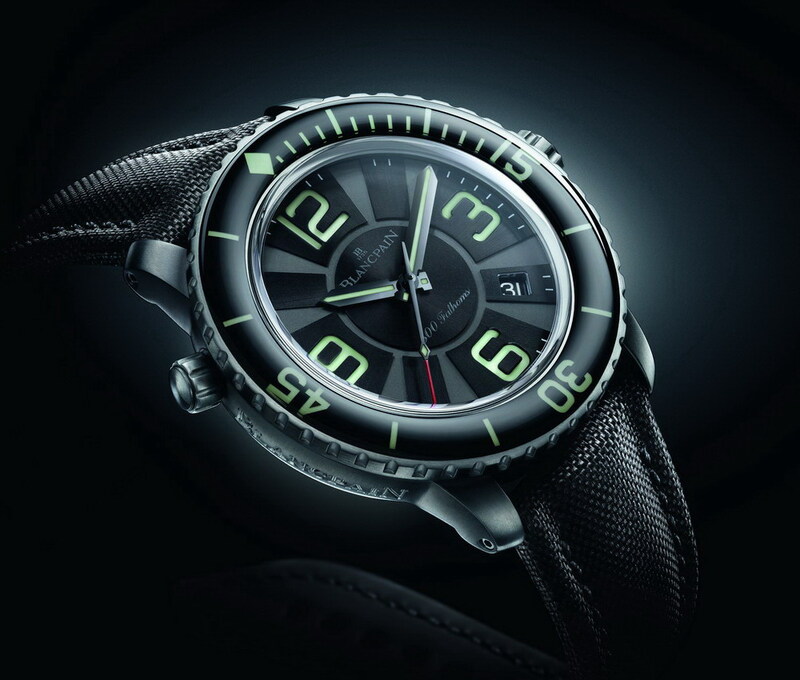 The 500 Fathoms is a high-performance ultra-technical diver’s watch with an uncompromisingly sporty design. Water-resistant to 100 bar (1,000 metres), it is fitted with a helium decompression valve – an indispensable feature when diving in a closed environment. This virile model is distinguished by a 48 mm-diameter brushed titanium case housing self-winding Calibre 1315, a movement specially designed to equip Blancpain’s sports watches. The performances and the reliability of the 500 Fathoms firmly assert Blancpain’s undeniable expertise in the demanding world of diver’s watches, a reputation steadily established since the 1953 launch of the Fifty Fathoms. If you’re waiting for this post to show a picture of the watch…don’t hold your breath.